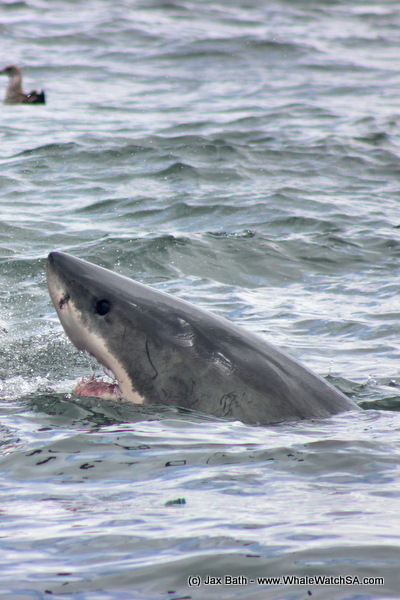 We had an awesome time on the water today with some unusual sightings and a couple of laughs. The first one came at my expense when we decided to pick up a piece of Sea Bamboo, something that is pretty common practice for us as this plant is just so fascinating. What was not common practice, is the squealing that came from my mouth when our deck was suddenly covered in tiny arthropods that had been hitching a ride from the kelp. After recovering from the initial shock, we all had a look at the tiny little critters before returning them back to the ocean. A couple of our clients also sampled the kelp before deciding that it was seasoned with far too much salt for their liking. After this, we head towards the island. The penguins are still eluding us and it seems that they have traded in their usual hang out spot for a place on the island where the grass is a little greener. 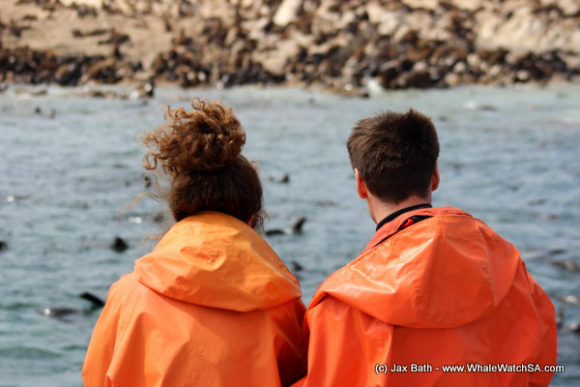 Luckily, we still have a couple of Penguins at our African Penguin & Seabird Sanctuary which means that our guests are still able to see the birds, regardless of whether or not they’re visible on the island. 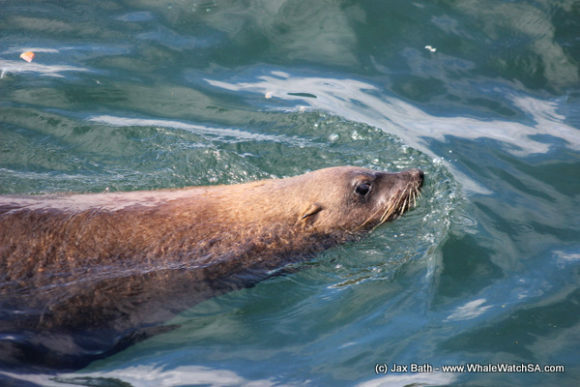 Most of our seals have returned from fishing, which was a welcome sight after the island had been so empty. 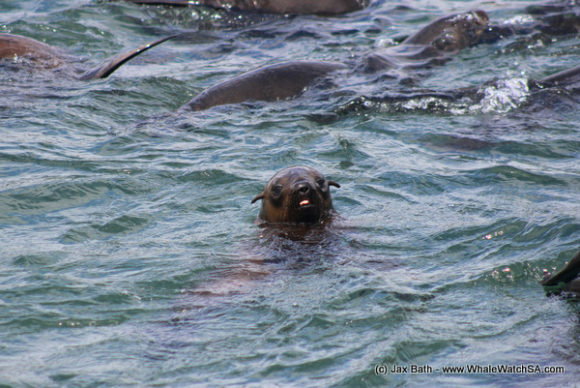 The seals were so cool to watch today, with many of them playing in the water and a bunch of others all waddling towards the sea together. Seemingly all keen to join in on the fun and cool off on this beautiful summer’s day. 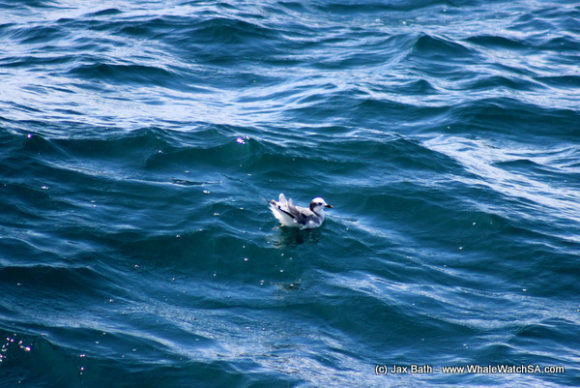 From the alley, we spotted birds diving in the open sea and decided to go and check it out. 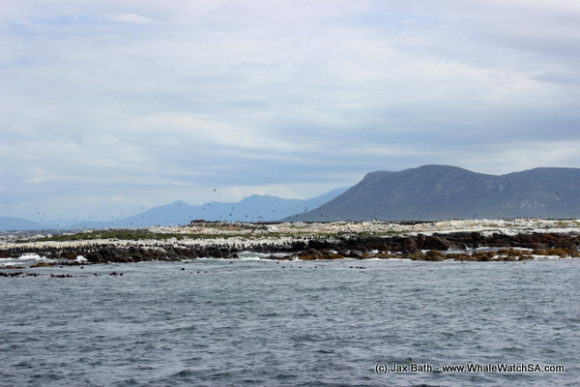 What we found was spectacular, hundreds of Cape Gannets could be seen, both in the sky and on the water. 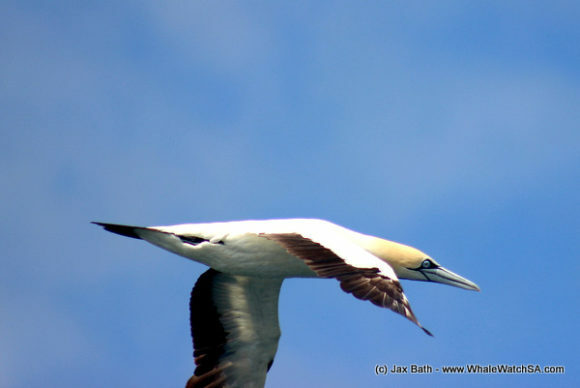 We have not seen Gannets like this in a long time and one is really able to take time to appreciate their beauty when there are so many in the area. 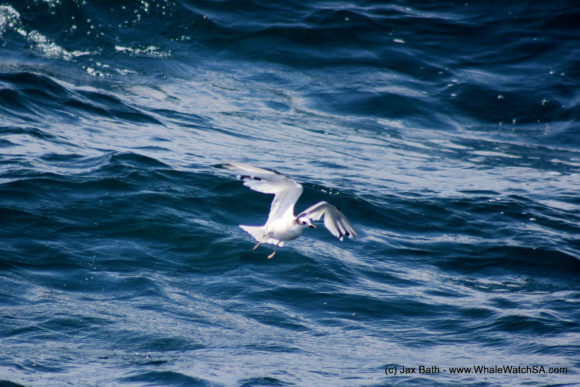 Usually, when one sees so many sea birds in an area, it is indicative of schooling fish moving through the area. 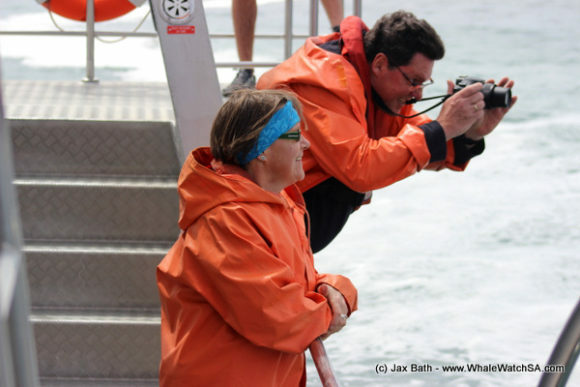 This also attracts our marine mammals and we were very lucky to see a Brydes Whale and her calf for the second day in a row. 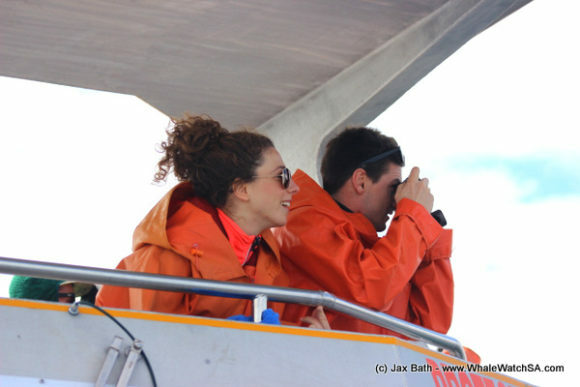 After spending some time with them we head towards the shark cage diving vessels. 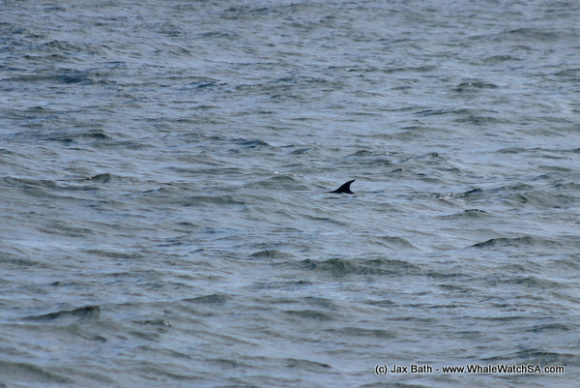 On the way, we spotted some Sooty Shearwaters and some unusual feathered friends. Two Sabine’s Gulls had decided to grace us with their presence, sitting on the water for long enough to get some proof shots before they moved off. Kira, our chief spotter and a keen birder was able to identify them within minutes using the trusty bird book a board. This was very exciting for all of us and with smiles on our faces we head towards Slashfin. 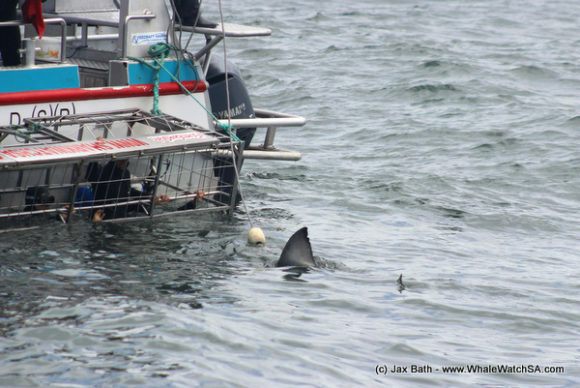 Here, we were able to see two Great White Sharks before heading back to the harbour.